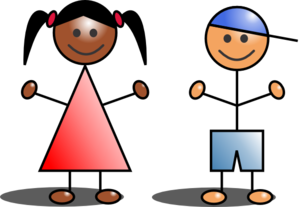 Everyone at Footsteps Nursery School in Lagos welcomes you to our official website and extend our sincere thanks to you for your interest and support. Across the website we have endeavoured to offer you information on all aspects of the school. However, if we have missed anything at all please don’t hesitate to contact us here at any time. 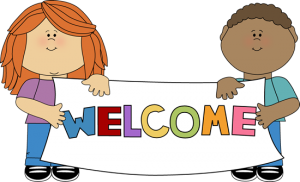 We hope you enjoy your visit and that we see you and your child/children walking through the doors of Footsteps Nursery School in the very near future. 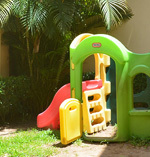 Rest assured you and your child will receive only the warmest welcome and unfailing support throughout your time here. Choosing a first school for your child is possibly one of the most important decisions you will make. Nursery school is, of course, the first real introduction to your precious child to the academic world in which they will spend years of their young lives. It’s therefore imperative that every child feels happy in their surroundings and actively wants to walk through the doors of their nursery school each morning. We truly believe that Footsteps Nursery School is the perfect introduction to education, for we put equal emphasis on both the intellectual and emotional growth of each and every child. Provide a prepared and planned environment for the wholesome, social, emotional, physical and intellectual development of your child through activities designed to help your child develop a sense of self worth, confidence and a sense of independence. 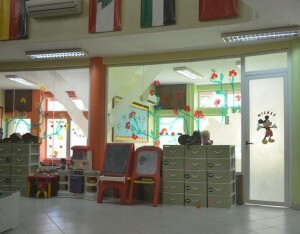 Provide an exceptionally supportive and enriched environment to enable your child to achieve his/her full potential. Provide enough care and comfort to enable your child to develop a sense of security in a sufficiently challenging environment. Provide the necessary equipment and training to prepare the child towards the next step of learning. Ensure that every child is given the freedom to explore and also learn at his/her pace. There are lots of activities available everyday, during which the adults work with children on set tasks. At Footsteps, we firmly believe that young children learn through play, examples of which include active involvement and exploration, making mistakes and solving problems, and activities which are challenging and relevant). Play is a non-serious activity but an essential one. This principle underlies our curriculum planning. We do, of course, put strong emphasis on educating your child to only the highest standards possible. Equally, though, we appreciate and promote the importance of every child feeling happy and contented in their surroundings. As you will see via our Photo Gallery, Footsteps Nursery School is a beautifully designed establishment with a colour scheme which lends itself to making every occupant – staff, students and visitors alike – feel happy, contented, and safe. As we know from our years of experience, happy children equals higher grades and a stronger desire to learn and grow. We are committed to providing a prepared and planned environment for the wholesome, social, emotional, physical and intellectual development of your child through activities designed to help your child develop a sense of self worth, confidence and a sense of independence.